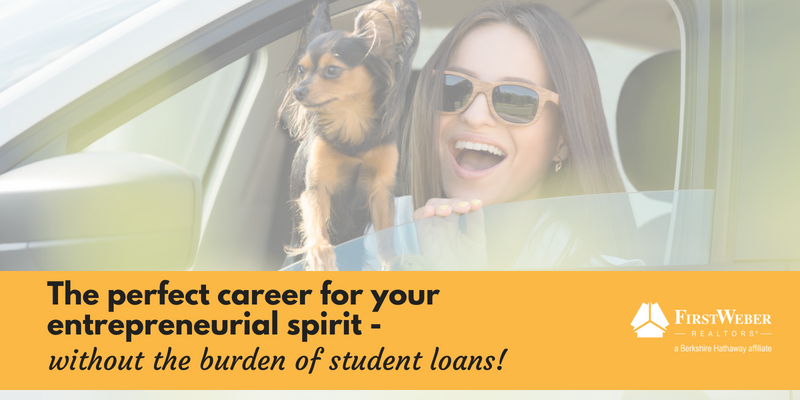 The perfect career for your entrepreneurial spirit – without the burden of student loans! You have an entrepreneurial spirit, high energy, a positive attitude and love working with people. You want to build a successful career without the debt of a student loan. We’ve got the answer for you: Real estate sales with First Weber. You will be your own boss, have control of your own business and unlimited earning potential. All without the burden of years of schooling and a mound of student loans. Attend closings with your buyers or sellers. See them move onto the next chapter in their lives! Every day & every deal is different! Be social, be helpful, be supported. The best real estate agents are social people, they just love being around others. While this career offers you independence, we also offer a supportive office culture. You’ll also have colleagues to network with and learn from. You will be part of a great office culture with people who care about each other and like to work together. You’re independent, but not alone. Get in touch with us about a career in Wisconsin real estate sales.